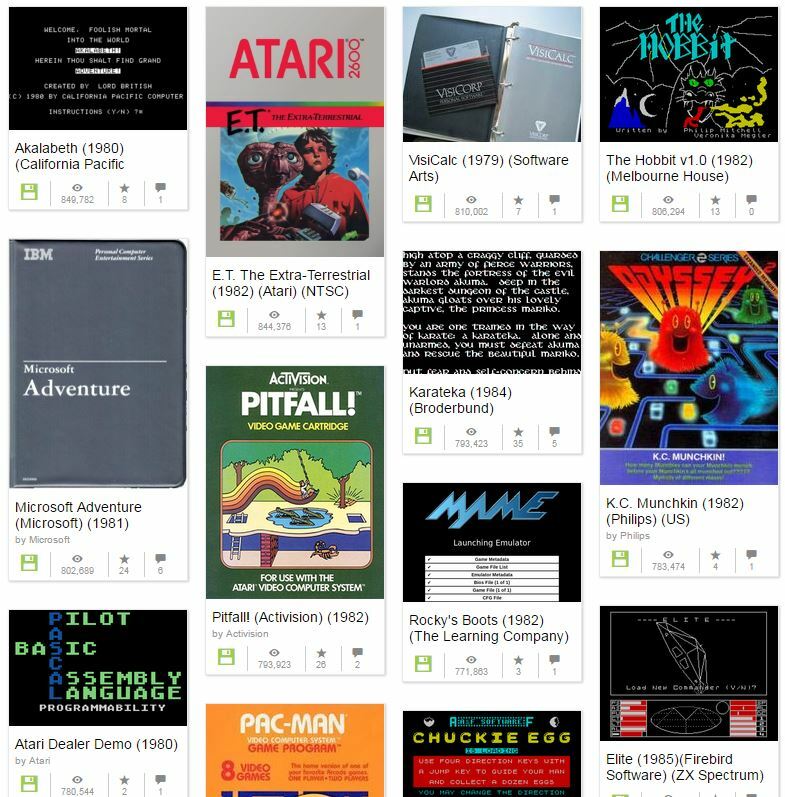 Visit the Historical Software Collection online and play PacMan the way it was made to be played – via a software emulator right in your computer browser! 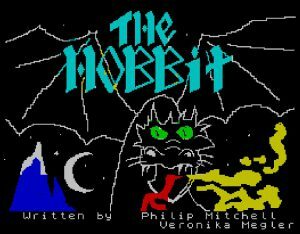 SEE – the original 8-bit graphics in all their glory! We’re finally going to get to be Gandalf! This is just another of the wonderful projects brought to you by the Internet Archive. Check out all the weird things previous generations used to have to do to use computers! Experiment with old time management software! Try to write anything in green text on a black background! And then go and thank someone for the screen you’re using to read this document, you hooligans. If you are one of the people who made this great age of technology possible, we thank you for your dedication. Godspeed. Go play some video games! We’ll be back in five hours. Black Quotidian is an excellent resource for anyone interested in African American history and culture. 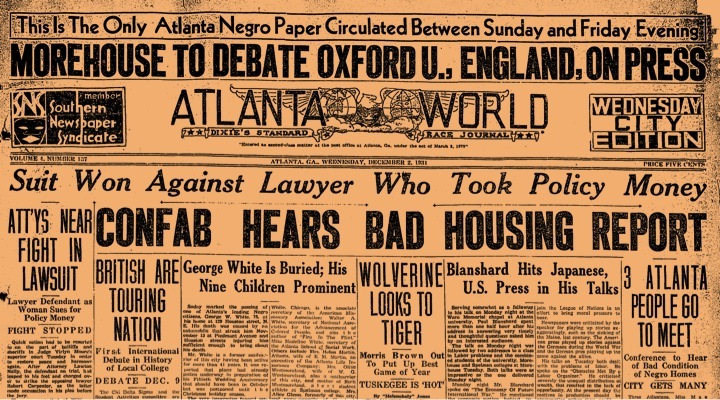 Each day, a newspaper article from that date in history is posted from sources like the Atlanta Daily World, Baltimore Afro-American,Chicago Defender, and Philadelphia Tribune, along with summary of and short commentary on the events discussed or the period in history from which the article is taken. While the articles tend to have a focus on historical events, particularly when the date has historical significance, curator Matt Delmont also includes human interest pieces on everything from beauty pageants to homecoming dances. The project is intended to bring attention to the depth and variety of information available through African-American newspapers and to encourage their use in the classroom. Articles are posted as PDFs and include any photographs published with the original issue. 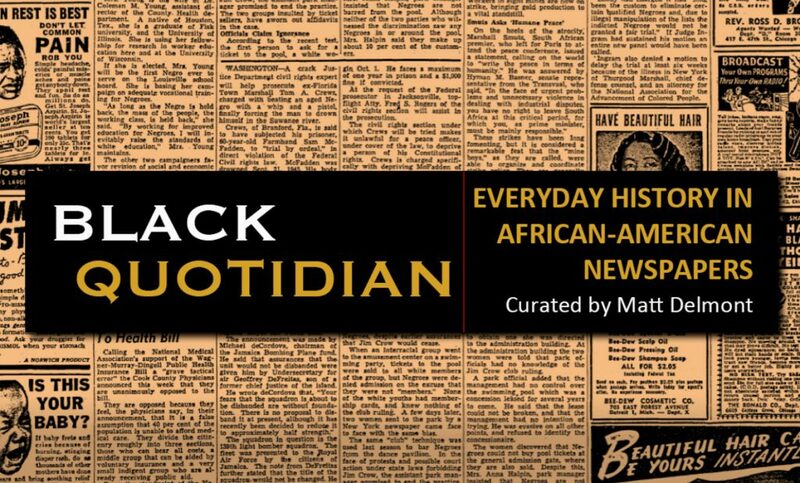 Black Quotidian is a fascinating project worth investigating by anyone with an interest in history, culture, or journalism, particularly that with an African-American focus. Man’s last mission to the moon was Apollo 17. The spacecraft launched on December 7th, 1972; all astronauts returned safely to Earth on December 19th. 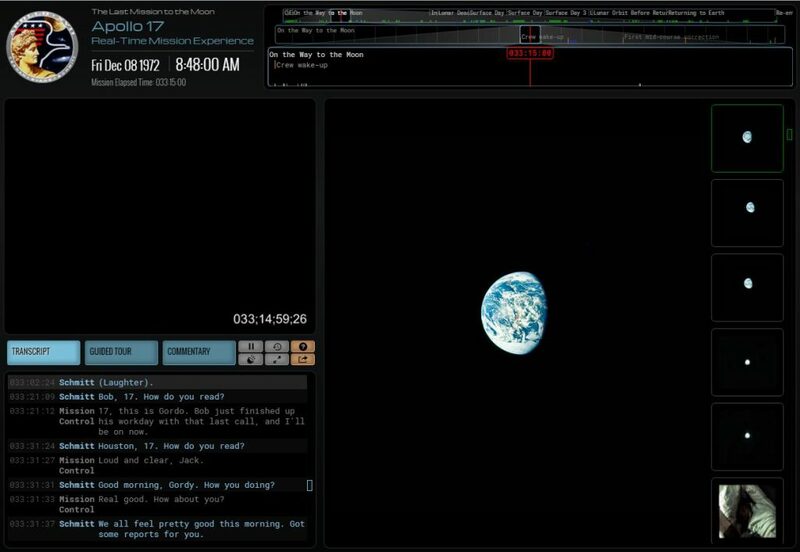 You can travel along with them at Apollo 17 in Real-Time, where all 300 hours of audio, 22 hours of video, and 4200 photographs have been released to the public. The squares on the far right are images and videos that match the timestamps of the sound recording that’s playing, but you can click or scroll through as you like. You can follow along with the transcript, take a guided tour of the site and of the events, or read commentary on the mission. Treehouse is available in our Digital Library again! In order to use this fantastic training resource, simply complete the form located under Treehouse in our Digital Library. 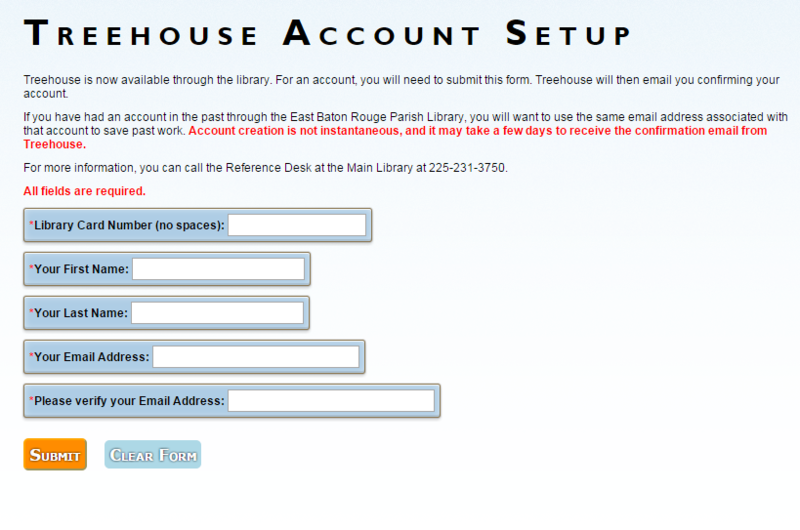 If you used Treehouse through EBRPL in the past, you’ll still need to set up an account in the new system. Please contact 231-3750 or your local branch if you have any questions. Posted on July 17, 2015 July 17, 2015 Categories EBRPL Online Resource, EBRPL Something New, EBRPL WebsiteLeave a comment on Treehouse Is Back! Previously, much of the data was kept in information silos within separate agencies, where public access was limited. The new initiative represents a targeted effort by all of the City-Parish departments to work together, reduce those data silos and embrace technology as a tool to make government more efficient, effective and accessible. The first phase of the Open Data initiative, available today, includes data sets such as fire and police data, employee salaries and detailed property information. Additional data sets will be added to the platform while existing ones will be maintained and updated. “Our eventual goal is to create an open government at all levels by publishing each and every City-Parish data point that may be of public interest,” Mayor Holden said. The Open Data BR initiative, led by the Mayor’s Department of Information Services, also follows the recommendations in IBM’s Smarter Cities Challenge Grant last year. Over the past year, Romero and his staff studied a number of other cities that are leaders in the “open data” movement, including New York City, Chicago, San Francisco and Raleigh. In many instances, software developers in these areas have used this new level of access to data to produce applications with a civic or public-sector focus. “We believe this initiative will serve as a catalyst to engage the software development community to leverage our data – provided at no cost to the public – and work with us to develop technology-based solutions to public-sector problems,” said Romero. In other cities, developers have utilized data from a number of public sources such as new building permits and new business licenses to build websites that are useful for new residents or new businesses. Other applications use city data to track which streets have been cleared of snow during major snow events. In Baton Rouge, similar technology could be used during emergency situations such as heavy rain, icy road conditions and hurricanes, when knowing the real-time availability of key roadways can mean the difference between life and death. Start the new year off right and follow EBRPL on social media! You’ll get to hear all about the latest and greatest going on around the parish. Not to mention all the cool kids are doing it. Check us out on Twitter, Tumblr, Instagram, Pinterest, and Facebook. We’d love to hear from you too – just remember to use #ebrpl! Have you ever heard of the North Platte Canteen? The Canteen began in North Platte, Nebraska, on December 17, 1941, shortly after the United States entered World War II after the attack on Pearl Harbor. On December 17, 1941, families and friends of the local Nebraska National Guard unit (Company D) came to the North Platte Depot to give them their Christmas presents, and then blossomed into one of the largest volunteer efforts of World War II. The North Platte Canteen met its first troop train on December 25, 1941, and met every single troop train that passed through the town thereafter, greeting an estimated six million soldiers throughout the war. Townspeople from all around the state gave their ration cards to the cause, volunteering their time, preparing food for the soldiers, and giving anything they h ad all to ensure that each train carrying American troops was greeted with friendly faces and free food, magazines, and coffee. The Lincoln Historical Society has a great online exhibit dedicated to this heartwarming chapter in American history. Check out Bob Greene’s book Once Upon a Town: The Miracle of the North Platte Canteen from the library for more on this amazing volunteer effort. Gobble gobble! Family, delicious food, and football. 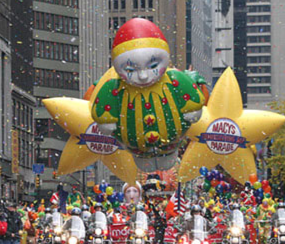 Another Thanksgiving tradition is the annual Macy’s Thanksgiving Day Parade when giant balloon replicas of our favorite characters fill the streets of New York. The parade, which began in 1924, has an estimated 3.5 million people actually attend the event and over 50 million households watch the parade on TV! Take a look at this fun retrospective with photographs of the balloons from years past from the New York Daily News. You can also check out the official parade website for the 2014 lineup of floats and performers and an interesting history section too with a description year-by-year of this memorable event. Remember all EBRPL branches are closing at 6 tonight (Wednesday, 11/26) and will be closed tomorrow in observance of Thanksgiving Day. We will resume normal business hours this Friday, November 28. Posted on November 26, 2014 Categories EBRPL Cool, EBRPL Events, EBRPL WebsiteLeave a comment on Happy Thanksgiving! Columbia Granger’s World of Poetry is an exciting new addition to our Digital Library. A one-stop shop for everything poetry-related, World of Poetry lets you search for a specific poem, poet, subject, region, and time period. You can find author biographies and literary criticism too. Looking for a little Keats or Whitman with your morning coffee? World of Poetry has a Listening Room where you can hear your favorite poems read out loud! 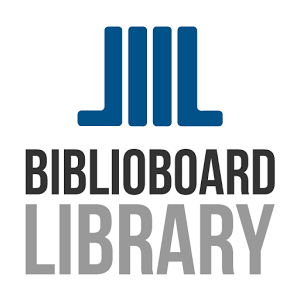 Check out this database today – simply go to our Digital Library, find it in the A-Z list, and log in with your library card.